After 16 seasons in baseball, Todd Zeile is looking for a new hit as a Hollywood producer—when he's not hanging out with Charlie Sheen, anyway. It’s a radiant May afternoon in the San Fernando Valley, and Zeile is having lunch on a terrace overlooking a spread of manicured tennis courts at Sherwood Country Club. The tale of his Highlands escapade is more than an explanation of how a mild-mannered major leaguer became bros with one of Hollywood’s occasionally unhinged hedonists. It’s an illustration of how a sense of curiosity and a willingness to try things have guided one man’s post-baseball success. When Zeile retired from the Mets in 2004, he moved back to the Los Angeles area, where he’d grown up. He had no interest in the traditional baseball afterlife: a gig as a big-league coach or a TV talking head. “Some guys eat, breathe and sleep baseball 24/7, but I always had other things I wanted to do,” he says. Joe Torre calls Zeile the Forrest Gump of baseball. 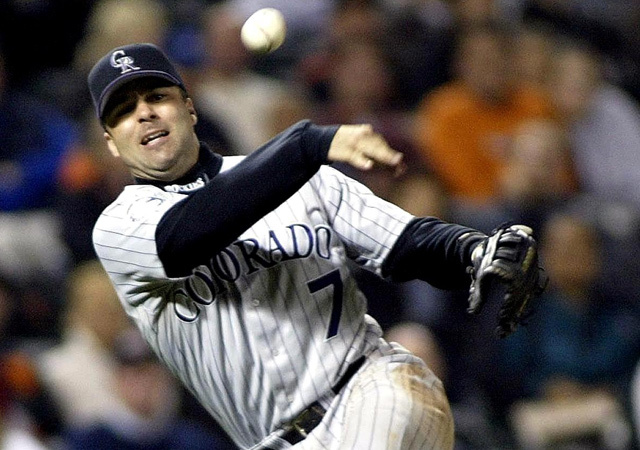 Over 16 seasons, Zeile played mostly third base or first base for 11 teams, for some of the game’s most successful managers (Whitey Herzog, Jim Leyland, Torre), and, like Gump, he was witness to many notable moments. He was on deck in Toronto when second baseman Roberto Alomar spit on umpire John Hirschbeck. He had eight hits for the Mets during the 2000 Subway Series and was still on New York’s roster the night baseball returned to the city after 9/11. A few years ago, when Zeile was looking for his next project after producing his second film, I Am, a religious-themed movie that screened at 2,500 churches across six continents, Zeile threw out an idea for a show in which a former baseball player is dealing with life after the game. Sheen loved it. He was on his hit series, Two and a Half Men, but CBS had shut down production after Sheen began making outlandish contract demands and daily headlines for his bizarre online rants. When Sheen hit the road on a rehabilitation tour, performing variety shows for packed crowds across the country, Zeile was on the bus with him coming up with bits. During the tour, Sheen was fired from Two and a Half Men, and while pondering his next move, he reconsidered Zeile’s baseball idea. The two retuned it, and it eventually became fodder for Anger Management, Sheen’s show on FX in which he plays an ex–baseball player turned therapist. 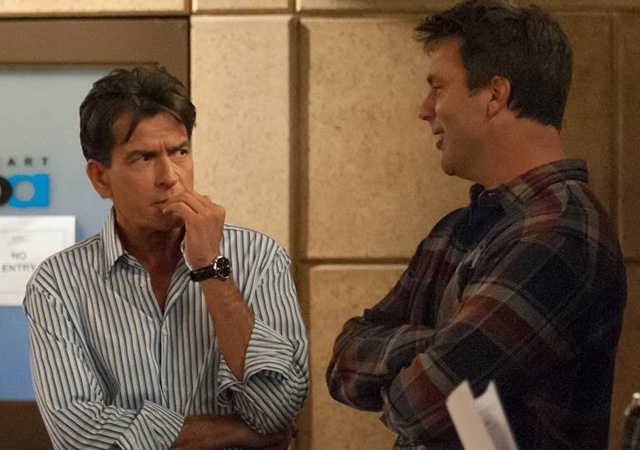 Zeile was on set every day for the pilot to keep Sheen focused and chime in on ideas, and was a co–executive producer for 80 episodes. The pilot, which aired in June 2012, was a hit: It attracted 5.74 million viewers, making it the most-watched sitcom premiere in cable history. The show had a breathless run—100 episodes over two years—before it ended last December. Zeile has since been juggling projects. He and Sheen have begun talking about new film and TV (non-sitcom) projects. Zeile is also working with the G2 investment group on an initiative to bring water-purification products to developing countries. (He is spending a week in Africa this summer, meeting with dignitaries there.) He and McNamara divorced in January 2015, and he’s trying to keep up with his children, who range in age from 11 to 21. At the same time, he’s maintaining a long-distance relationship with girlfriend Kristin Gamboa, the daughter of Brooklyn Cyclones manager Tom Gamboa. Zeile hasn’t ruled out a return to baseball. He still has friends around the game—he talks all the time to Robin Ventura, who went from his couch to the manager’s chair in Chicago a few years ago—and he knows that an offer that’s too good to pass up could come along.